ANA offers international service from its Tokyo hubs to most major North American cities, along with regional connections to plenty of Asia/Pacific cities. Using United as its Star Alliance partner, the North American connections are readily available as well. Reward ticket availability is fairly consistent from the time ticketing opens 331 days out to close in departures. ANA is one of the world's best airlines offering a premium first class as well as a top tier business class. 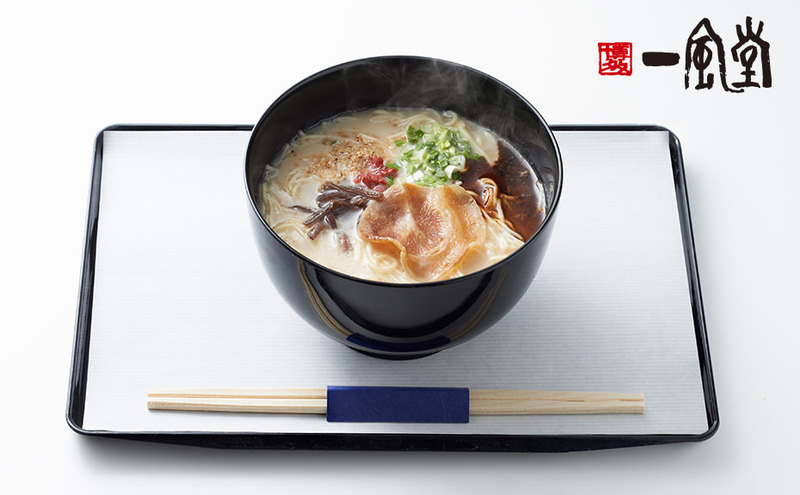 It's Tokyo ground service has earned best airport services awards in Asia. The only word of warning is if you are using ANA and connect through Tokyo to other Asia cities, be sure the connection is from the same airport. For some reason they offer arrivals in Narita (NRT) with the connection from Haneda (HND). This is not an easy transfer. That said, Haneda is a great airport to arrive in if you can find a flight. Most flights head to Narita. 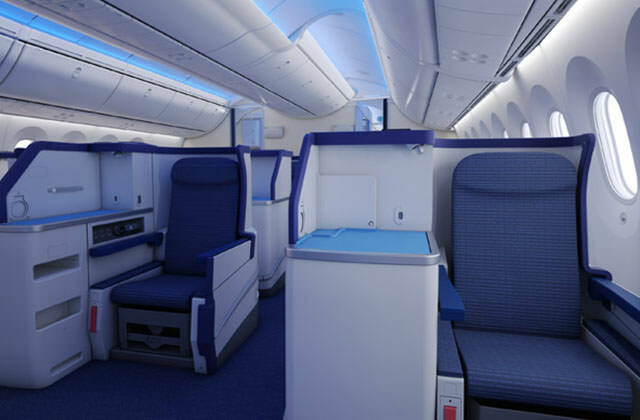 ANA's First Class Suite is equipped on all Boeing 777-300ER aircraft routed between Japan and North America. The "Square" as it's known is consistently rated near the top of all international first class experiences. With premium lounge access from your departing city, the gracious and attentive onboard service, privacy and comfort of your our suite, full line of amenities including pajamas to take home and delicious Japanese or International cuisines along with champagne and fine wines, your Reward Flight will be a most memorable one. 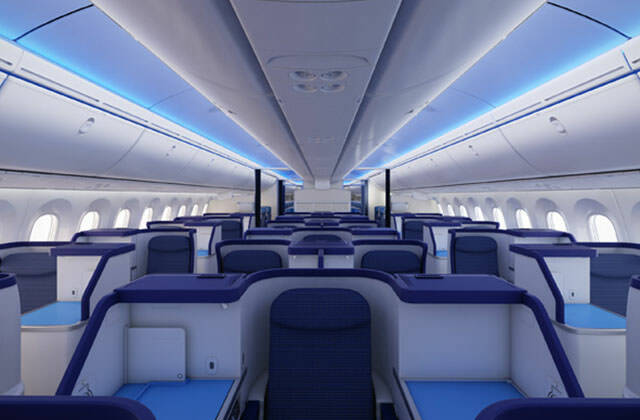 All North American bound Boeing 777 aircraft and most North American bound 787 aircraft have ANA's staggered lie flat business class seat. But you will think you are in first class with the pampering, seat and food. ANA's business class gets high ratings as well. Judge for yourself. 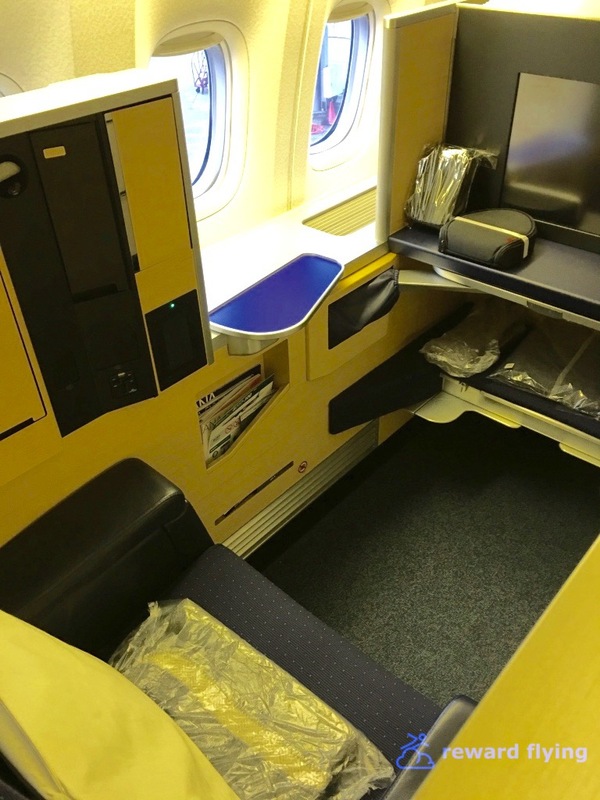 When connecting to another ANA international flight in Asia, you might find yourself in their angled business class seat. 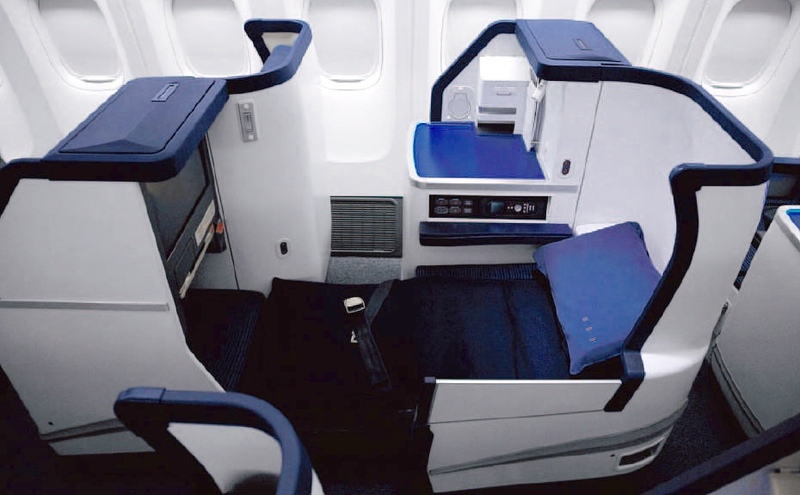 It is also referred to a the "cradle" seat While the seat may not be as "sleepy" as the staggered lie flat, the service on any ANA flight remains upper tier. 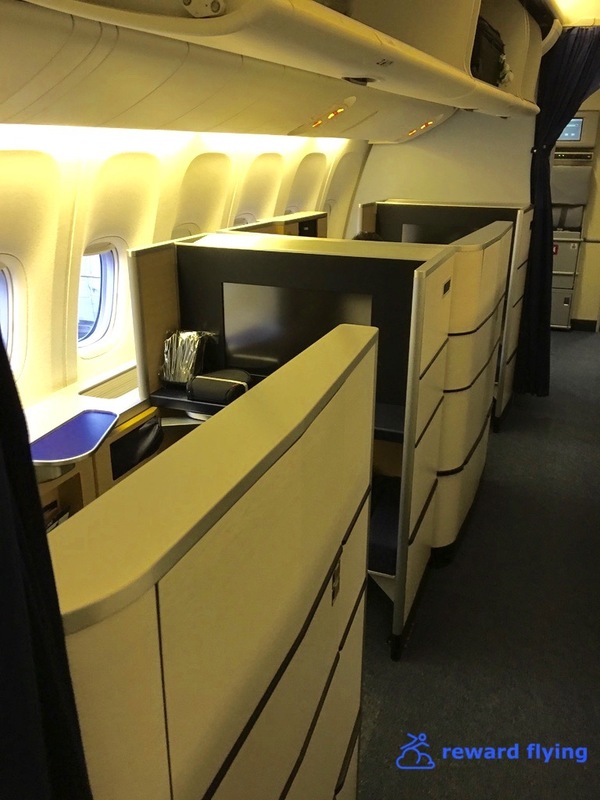 Most aircraft ANA flies to North America have first class and their favored staggered business class lie flat seats. However some west coast 787 flights have used the older style business recliner/cradle seats. 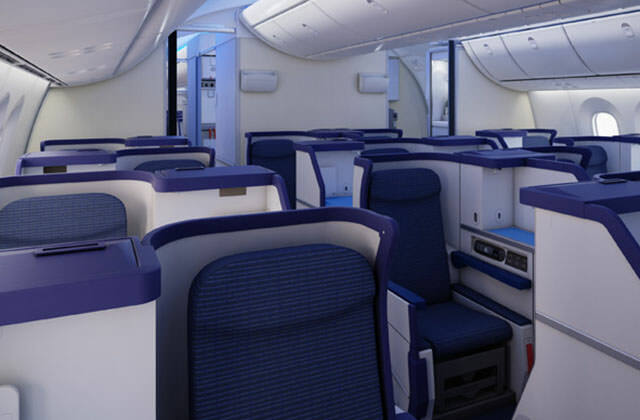 ANA provides excellent reward flights to connecting cities from Tokyo throughout Asia which use long haul aircraft, so it's important to understand the seating differences and be able to clearly identify what you're getting. 777-300: There are 4 international configurations along with 1 regional configurations. International V3 has been phased out now that all International 777-300 have been upgraded to the staggered business class seats. V4 is the aircraft most commonly flown to North American and they have configured economy with 10 across seating versus 9 wide on the others. 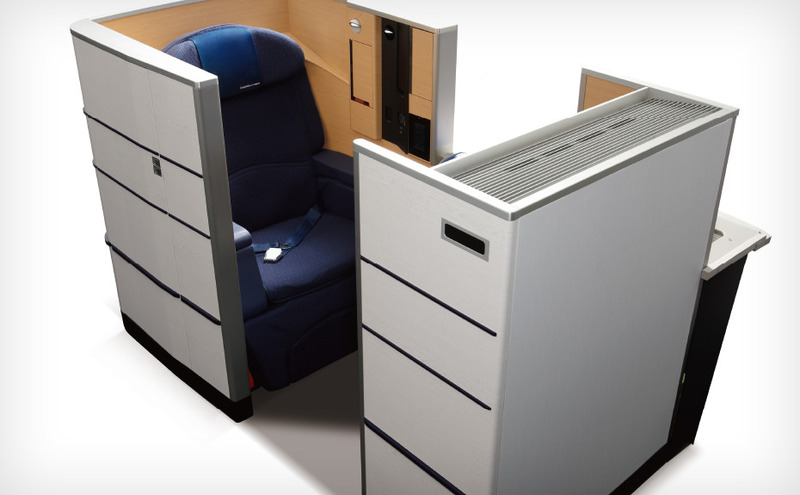 International: V3-First 8 / Business 77 / Premium 24 / Economy 138 (Recliner/Cradle business class) being phased out. 787: ANA was the first to fly this plane and has taken delivery along with open orders for a total of 54 Dreamliners. First class in not offered on the 787. For staggered business class you want to see 46 seats in the 787-8 and 48 seats in the new 787-9 3-class configuration just coming to market. 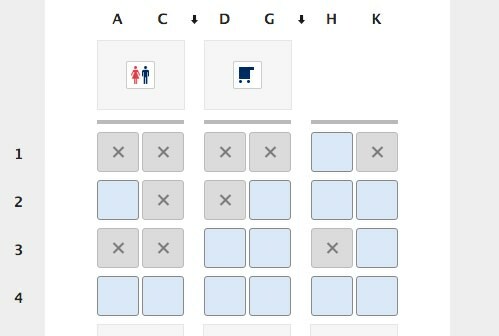 An easy way to see what seat plan you have is to build your flight on the ANA website and click on the seat map which shows your plane. Of course as always planes are subject to change. ANA's website offers extensive information about their onboard services for all classes of service, including showing menus 2-3 months in advance. You can find that information here. 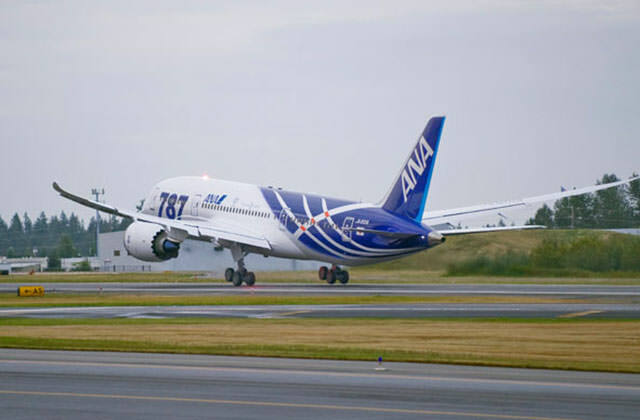 ANA received the first Boeing 787. It's departure from Boeing and arrival in Tokyo. Have you flown with ANA? Share your experience with others in the comments section.